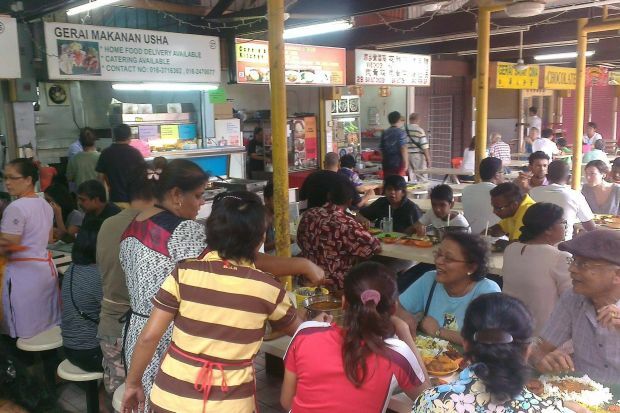 APART from its wet market, Jalan Othman in Petaling Jaya is especially known for its food court. 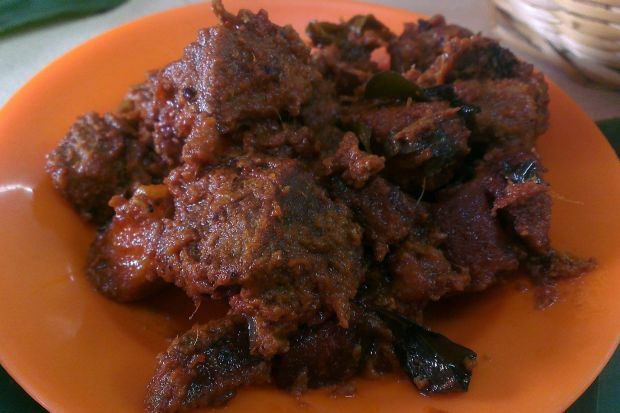 And if you are out looking for a quick lunch fix, there are a couple of decent makan stalls there which you can try. Highly-recommended is Usha’s food stall at Lot 27 in the food court. Rice with salted fish curry. 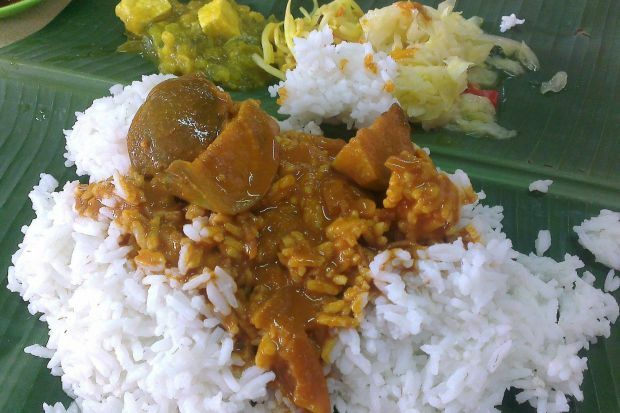 It specialises in banana leaf rice and is usually packed during the weekends. I had a chance to try out the food here and left with a good impression. The dish that really stands out is the goat’s tripe and dry mutton curry. Combined with the salted fish curry, I must say that Usha’s home-cooked dishes are way above my expectations. Besides that, one can also order fried fish and fried chicken fresh from the wok. And as far as the quality of food is concerned, I would rate it at 7 out of 10 on the Samo-scale. On the price, this stall is a bit expensive as lunch for two costs RM25. The stall is located at the Medan Selera Jalan Othman (N 03 05 249, E101 38.761).